DeTomaso Pantera - Miami Pantera Parts, Sales & Services | Welcome to Pantera Miami Blog! I love Pantera’s and if you do too then you’ve come to the right place! 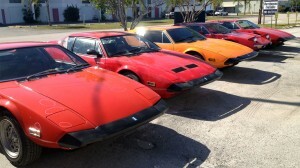 Here is where you will see updates on Pantera’s for sale and see cool photos and videos of these one of a kind cars!